Rob Keeley proves that he has a consistent and distinctive compositional voice, judging by this group of his works. There are influences from Knussen and others, but his music is really his own. Coupled with the excellence of the performances—I can do nothing but sing the praises of each performer heard here—this is a disc that aficionados of contemporary chamber music will not want to miss. 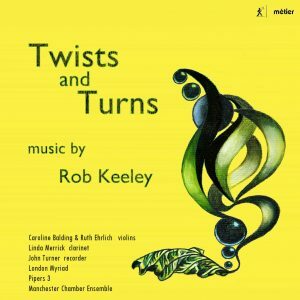 » CE News » Rob Keeley CD Releases get glowing reception!